We value personal freedom and we know the generation before us does, too. So we take great care in the services we provide to our Personal Emergency Response System (PERS) customers. 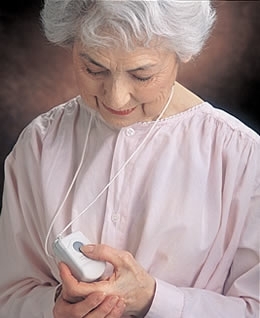 Your elderly loved ones can have the freedom to live at home alone without ever being alone. With just the touch of a button, they’ll be able to access help instantly. Save money: You do not have to pay monthly service fees for two separate systems. Add a Personal Emergency Response button to your alarm system for significant savings over an additional system from our competition. Call us today for additional information. The Interlogix Micro Multi-Purpose Panic Button features an updated design that is both chlorine and UV-resistant for long-lasting and reliable performance. In addition, the Panic Button is water-resistant and functions as a wireless device used for activating emergency alarms throughout the premises. 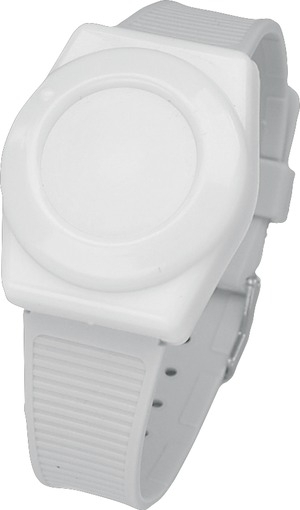 When the panic button is pressed, the LED mounted under the front cover will blink and an alarm signal is transmitted.